Are you unable to connect to the internet while others around you are able to? Make sure the wireless or LAN is enabled. If you are using a laptop, a wireless network connection and on battery, check if you are on powersave and change to another power plan. If this does not solve the issue, go to the next step. 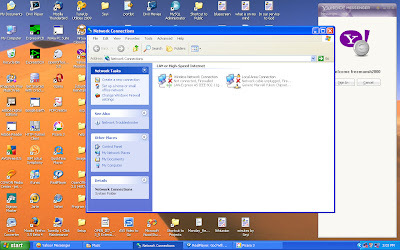 In the general tab of properties, enter the appropraite IP address, subnet mask and DNS server. 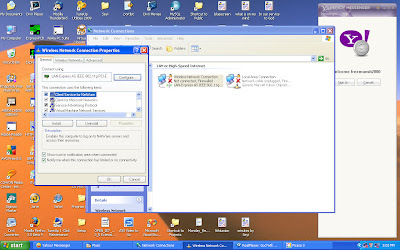 Most of the time you will have to select Obtain an IP address automatically and Obtain DNS server address automatically, except if you are given specific addresses by the network administrator. Click OK, click Close/OK (which ever you see, but not cancel). If this does not solve the issue, go to the next step. Lastly, go to the internet settings of the browser you are using and make sure the proxy is not enabled except the network administrator gives you the settings. 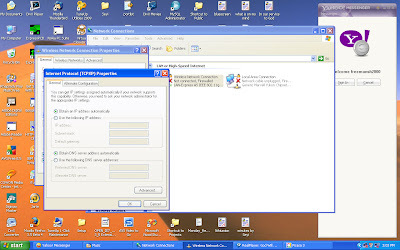 If all these do not work, go to run, enter cmd and type ping www.yahoo.com, if it does not find the host then ping 87.248.113.14. If this ping goes through, disable your firewall and try the internet again. 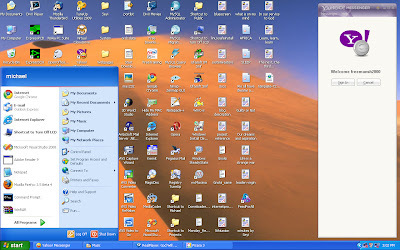 If it stills does not go through, use the connection diagnosis tool of your operating system (even if you have used it before and no results, this time it will most likely complain about one service that you need to stop, accept to stop the service and you will be able to surf the net). Anymore issues, just ask in the comment.